Saudi Arabia has increased its average daily oil exports 4.6 percent between December and January, its exports reaching 7.835 million barrels per day, the Joint Organisations Data Initiative (JODI) revealed on Thursday. MOSCOW (Sputnik) — Saudi oil output also increased 0.84 percent in January, up to 10.23 million barrels per day, the database, which is run by several international organizations, including the Organization of the Petroleum Exporting Countries (OPEC), said, citing data provided by Riyadh. Oil processing also increased 6.74 percent, but remained low overall at only 2.428 million barrels being processed daily. 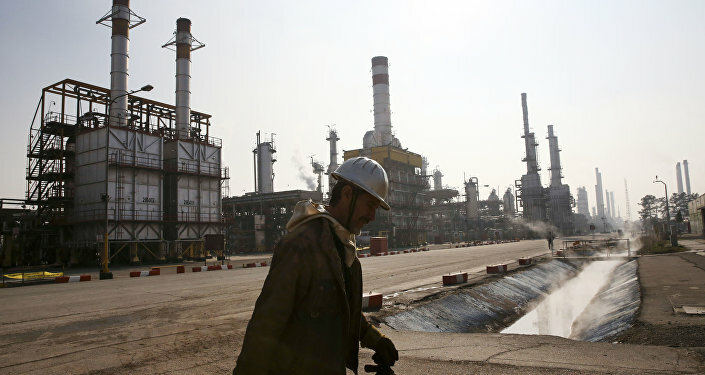 Iraq, OPEC's second oil producer, increased its exports by 2.17 percent in January, according to JODI figures. Kuwait's exports rose 6.33 percent between December and January, reaching 2.217 million barrels per day. The global oil market has been hit by a massive glut in 2015, with record output levels overtaking demand and driving down prices. Global oil production hit an all-time high in January. Global oil prices plunged from $115 to less than $30 per barrel between June 2014 and January 2016, hitting their lowest levels since 2003. OPEC and non-OPEC oil producers are set to discuss finalizing a deal on freezing output at January levels throughout 2016 on April 17, according to the Qatari authorities.